Character Counts For Parents Too! No Name Calling Week and mix it up lunch a success at skyview! Gosh it sure has been way too long since I posted on my blog! But I am excited about what my Skyview Community did togetherin recognition of National No Name Calling Week, the week of January 23-26, 2015 and wanted to post here what we did! BLAST is a student leadership group. 6th grade BLAST members go together and planned out an entire week of events for our school community. Spirit days were held each day, and BLAST members made posters to put up advertising these special days. We wore red white and blue on Tuesday to be united against name calling, we dressed up to stand up for respect on Wednesday, we wore Skyview Spirit wear on Thursday because Skyview Hawks SOAR to respect, and we wore our favorite team jerseys to team up for respect. Not only did we do spirit days, we had students give morning announcements to share information about No Name Calling Week, give inspirational quotes, and read their stories about being bullied and how they stood up for others because they knew how it felt. In addition to spirit days, posters, announcements and real life stories, students in BLAST made posters on yellow paper for the pillar of Respect that read "Hands Down Respect Wins". Each homeroom was asked to participate in a "Show of Hands" activity and was given a cut out hand print for each student. Students wrote on each finger a way in which they show respect to others, in their school, in their homes and in their communities. The students then posted their hand prints onto the yellow Hands Down Respect Wins banners throughout the school. Hand prints were cut out from each of the Pillar colors, so we had red, blue, yellow, green, orange and purple. Finally, BLAST students helped the counselors arrange our school's first ever Mix It Up Lunch period on Friday for all of our 850 students. Mix It up Lunch was so much fun! We gave out colored / numbered squares to students that indicated their table assignment for that lunch period. On the tables, we had a Find Someone Who bingo game and pencils, and instructions on how to start a conversation with someone. For the most part, students did follow the directions to sit at tables by assigned number and color and put forth real effort into completing the activity on their tables. We look forward to more Mix It Up Lunches at Skyview in the future! Next up.... National School Counseling Week, Random Acts of Kindness Week, and March Madness Week - post secondary education awareness week. Things sure are busy at the View! School counselors were treated to a key note presentation by Michelle Obama at the American School Counseling Conference held in Orlando, Florida this summer. Here is the video of Michelle Obama speaking at ASCA 2014! Watch it and learn what the First Lady's REACH HIGHER initiative is about, and learn about the work School Counselors do. Being in the audience for Michelle Obama’s speech about school counselors and the work we do is such a true highlight in my career as a School Counselor! Sharing this video with your administrators, other counselors, leaders, and teachers in your district, and your state agency/department of education is a great way to advocate for more support for school counseling, your students, and yourself. Share it with your family and friends too, so they can get a sense of what school counselors do everyday and how important the work of School Counselors is. skyview celebrates nscw and ptbm week! Though a week late due to power outages and bad weather, the counselors and staff at Skyview celebrated National School Counseling Week and Proud To Be Me Week with some snacks and much needed fun! 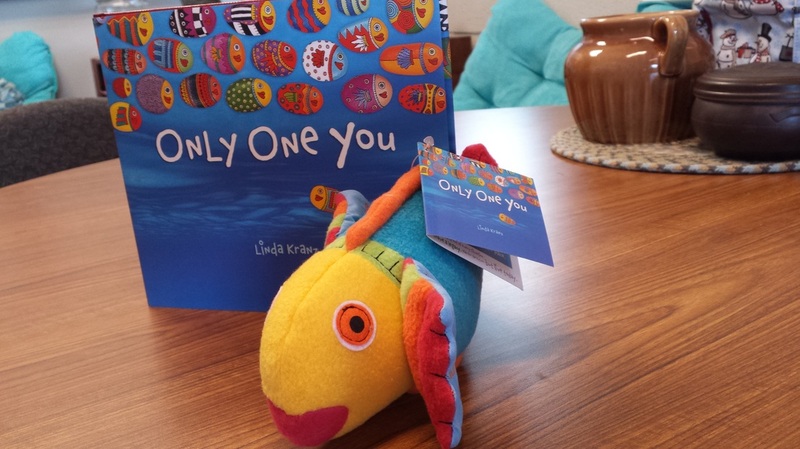 Using the book, Only One You, by Linda Kranz, Proud To Be Me Week was celebrated by highlighting the uniqueness and special gifts that we all bring to our school. 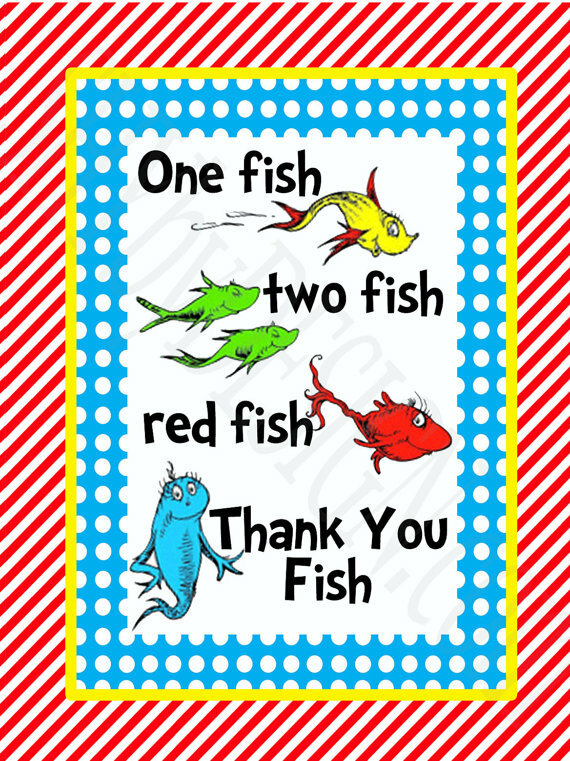 5th grade teacher Mrs, Unangst, was the lucky winner of a copy of the book and the matching fish puppet when her name was drawn out of a bag. Teachers were invited to enter the drawing by answering the question "How many years has Mrs. Lang been a PA school counselor?". In celebration of National School Counseling Week, the counselors at Skyview carried through the fish theme and gave staff a fish snack bar they couldn't refuse! Did you know that House Bill 1844 is being proposed at the State level to mandate school counselors in PA public schools with a ratio!? This is great news for students! School Counselors are very instrumental in helping students become College and Career Ready by implementing a national school counseling curriculum covering the academic, personal/social and career domains; supporting the PA Career Education and Work standards; supporting Common Core standards, and implementing activities that meet PA's Safe and Supportive Schools standards. Student Across PA Need Your support! Please consider writing a letter of support for HB 1844 to your legislator, and let him/her know how much school counselors are needed in our schools and about the services school counselors provide to students. By helping students personally, socially, and academically, school counselors support their development as life long learners and as contributing community members. If you are interested in ordering a navy blue long sleeve tee shirt in support of HB1844 that says "Make a Difference for Students: Support HB1844" on it, please email me! School counselors across PA are encouraged to wear these shirts during National School Counseling Week 2014. In September, I learned of the death of a special friend of my nephew's, Alyssa Josephine O'Neill. Alyssa passed away at the age of 18 due to complications of epilepsy. She was about to begin college at Penn State Behrend at the time of her passing. Alyssa was a kind girl, with a beautiful heart, and she showed kindness to all whom she met. Alyssa cared about everyone, in such a genuine way. Below is a link to read about Alyssa's story, and the Pay It Forward activities that others across the world are spreading in her honor. Tonight at the Devon Starbucks I #AJO' d and bought a gift card to pay for however many coffees it would cover in honor of #AJO. It was my second time doing this. It caught the site manager's attention, and the employees working tonight chipped in and doubled the amount on the gift card. My friends and I stayed and had our coffees. The people who came up to me/us to thank me for paying it forward to their benefit were super nice and shared their stories of how this small act of kindness touched their hearts tonight. People of all walks of life and across many cultures shared with us and opened their hearts. One woman was on her way through PA from Delaware to visit a friend dying in hospice and was very tired and sad. Having an #AJO cup of coffee warmed her heart and brought tears to her eyes. Another woman and her mother thanked me, and said "We should do more for others. It feels good." and started to talk about how they could make a difference in the lives of people in need. An older gentleman just smiled and said "thank you, thank you for sharing your friend's story. It meant a lot to me tonight." And there were more who came to talk to us. Their stories touched me. I'm so blessed to be able to share love with others and to make a difference. Not only that , but Starbucks corporate was called and the story shared with them tonight, and corporate will be doing something with The National Epilepsy Foundation in terms of raising funds for education, awareness and care programs. 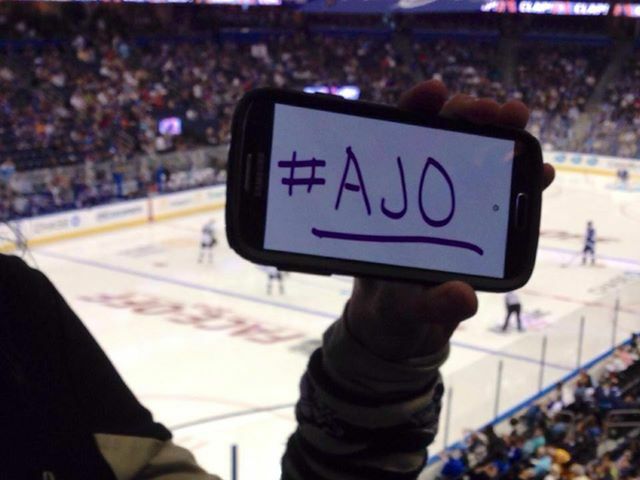 #AJO . Shine on beautiful girl, shine on. It is my hope that you, too, will #AJO it, and pass along kindness to someone else. No matter how big or how small the act, your caring can touch others' in such a profound way. Well, our school year is in full swing this year. I am proud of myself for beginning to use Google Docs to collect data via needs assessments. I love the way Google Docs just puts the data into a pie chart or a bar graph for me when done! Data does not scare me anymore with Google Docs! I did three 5th grade surveys: Students, Parents, and Teachers. Here are some results. Celebrating You is a self esteem group, and I separate girls and boys into their own groups at lunch or during 8th period. The parent survey was informative as well, but I cannot get the images to load on this blog. I was disappointed with the fact that out of all my hard work advertising and getting the word out about the survey, only 25 parents responded out of 386. Oh well! So, I now will be utilizing this data in the development of the school counseling program for 5th grade, I will use it also at the end of the year to assess how the goals were addressed. Stay tuned for my next adventure with DATA. Carol Kaffenberger would be so proud of me! * Information about Bucket Filling, complete with table decorations, balloons, an example of the gbook by Carol McCloud "Have You Filled a Bucket Today?" * Descriptions of the small groups that I offer. ...and flowers, mums, pumpkins, hard candy, and anythig else that pops into my mind. I use this time to advocate for the school counseling profession, and to connect with parents. I look forward to it every year. I hope this has given you some ideas of what you could include in your back to school night if you have not had it yet. Have a great week everyone! Last week was our district's first full week of school. I was able to begin going into the classrooms to present my Introduction to the School Counselor lesson. I have several more visits to make, but the majority have been made. The students really enjoyed my I Help App Board and my office tour video that I presented to them. 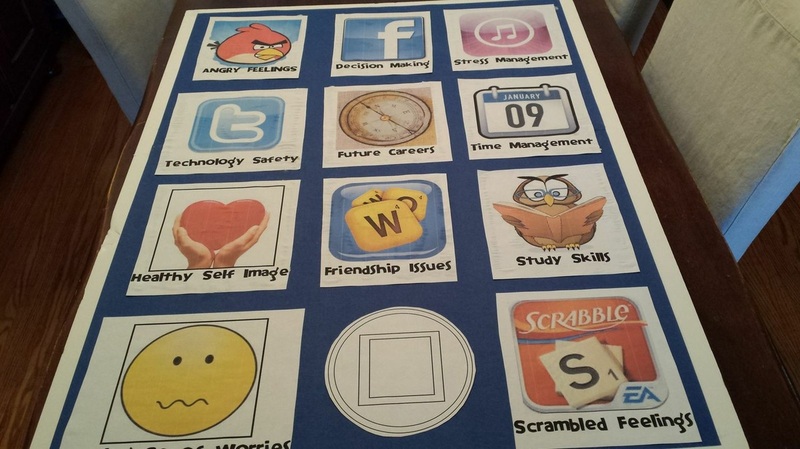 The other way I used the I Help App board was to get students into groups and assign them an app to talk about. They shared why I had it on my app board, what a school counselor would actually do to help them with that problem, and then create their own apps for the school counselor I Help App Board. This approach was best used as an extension to the lesson with the GIEP classes, I have determined. I say that because all the students seemed to want to talk about ALL of the apps on the board because it was, well, an App board! Then I showed the video tour of my office. I really liked using my Ipad to take the video which I edited in Windows Movie Maker Live because I could not figure out Movie Maker on my Ipad. It worked well. I added my favorite song, some captions that indicated information about me, and so forth. What I liked was that I could save my voice by sharing the video, and the kids all got the same information. I have found that some classes are chatty, some are quiet, and I tend to forget what I want to say or get off topic. This video was great in allowing for consistency across the board. I will be video taping my lessons from here on out and using that in conjunction with counselor led activities on the topic. What a way to go! When you have 17 classes on the SAME topic to teach, this is a life saver! In addition to classroom lessons, I got busy creating surveys on Google Docs. I created a small group interest survey for my 5th graders (that is my class this year). The two fabulous computer tech teachers will give the survey link to my students when they are in their computer labs to take. It is one question, so it should not take more than 2 minutes. I will get the results in real time and be able to sign up kids to come talk to me more about their small group interests, and then be able to send home permission slips and create small group rosters. I am thinking of a google doc for parents as a permission slip for small group sign ups now. Another google doc survey I completed was a needs assessment for parents of 5th grade students. What I learned was that I do not have a way to email all the 5th grade parents with email in the system. People have to to sign up to receive E Alerts from teachers, . Well, I do not have access to these sign ups, and as a counselor if someone did sign up for an E Alert from the counselor, they remain on my list unless they themselves take themselves off the list. So,when my class changes, my list of emails may not. I do not have any way of knowing who is signed up for E Alerts from the counselor and I do not have access to that list to pick out who I want to send to. SO I enlisted the help of the home and school association to send out an E Alert for me with the link to my survey, and in the subject line they will be putting FOR 5TH GRADE PARENTS ONLY . All my survey questions begin with the phrase "Thinking about your 5th grader...." so that should be clear. We'll see how this goes. As a school counselor, how do YOU manage emailing a designated set of parents? And finally, I created my teacher needs assessment on google docs and will be sending them a link next week with their counseling newsletter via email. Three questions, easy. Click, Click. and Click. Finally, I began making my contacts for folks I would like to bring in to school for Career Café lunch talks. We will have Career Cafes 2x a month. I reached out on facebook to ask for volunteers and go a lot! Some will Skype in, some will send videos of themselves talking about what they do to, and others will come in. I am really excited! 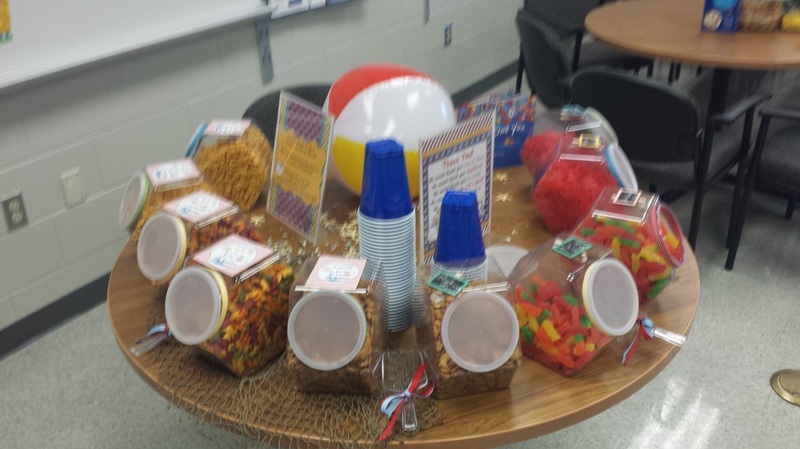 This is the first time I have done Career Café and love Danielle Schulz for sharing this idea! We begin in October. Before I forget, this week I also sat down with my principal and shared with her all of my new ideas for the year and all my new "props" and "tools". This was the first time I have tooted my own horn, and am glad I did. It was a great conversation, and above all, I don't feel like I am "out there on my own" anymore. that they learn, the place in which they learn it, the structure of their learning environment, as well as physical, social and emotional transitions. Transitions affect children, and the way their families handle transitions affect children. Some children welcome transitions and change, eager to learn something new, others shy away and become insecure with themselves when faced with changes. therefore been given an opportunity to model for the children appropriate and effective coping strategies to make each day a “best” day. I welcome change. I look forward to all the transitions in my life. And maybe that is why Fall is my favorite time of the year and is home to many of my “best” days. So, I am starting with my Introduction to the school counselor lessons on Monday. I am using my "I Help" poster that I created and tried to make it look like an I phone. My art teacher is doctoring it up to make it more believable. LOL. I am excited to have a new prop! In addition to using pictures of "apps" on my I help board, I plan to show a slide show of my office, where passes and request to see the counselor slips are located, what resources I have in there for kids, my stress free zone, etc. I hope that knowing what lies behind that door up stairs will help make the new 5th grade class more comfortable seeking me out! My lesson will include a bit of information about me, personally as well. I do plan to make a video clip or a slide show for the kids to view that shows my pets, my interests, where I went to grad school, etc. I want to put it to music, and I have to come up with a song yet. My favorite is Brighter than the Sun by Colbie Caillat. Maybe I 'll use that since it's my favorite song. In addition to the Me Facts, the I Help apps, and the video slide show, I want to end by giving the kids a Kindness Challenge. I have a list of activities from School Counselor Central's face book page that lists 25 different activities for people to do for others - random acts of kindness. I want to take these, put them on individual slips of paper, and at the end of my lesson pass the slips of paper out giving each student one slip (activity to do). I will actually hand them 2 slips - one to keep and one to write their name and homeroom on which will be the one they turn into me so I can follow up with them on how it went later when I do my Minit Meetings (D.Schultz) with them. The goal will be for the kids to do their activity every day, for someone different each time, for 2 weeks. 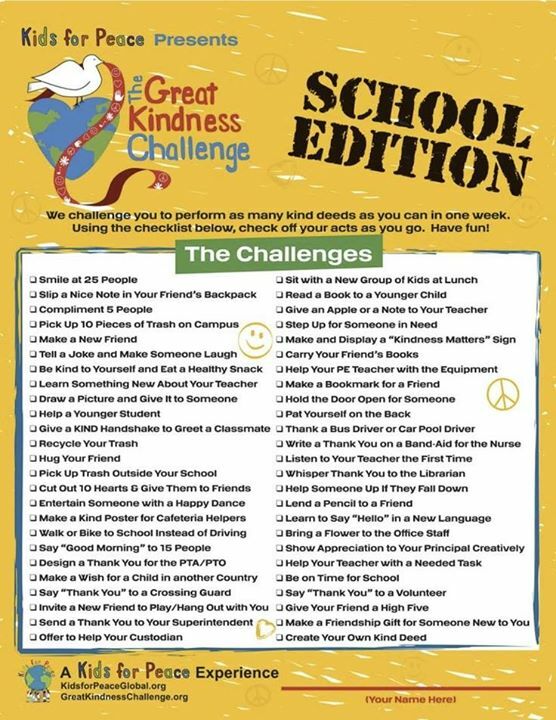 So, what do you all think of my Kindness Challenge idea? I think it could be great fun for the kids to do. And to know that they will be asked about it in a couple weeks hopefully will give them the motivation to actually do it. I can also pop into their lunches and get on the loud speaker to remind them to follow through with their challenges. Share your thoughts, please! Looking forward to hearing from you! Mrs. Lang has been a school counselor in PA for 17 years. She works at Methacton School District at Skyview Upper Elementary School, a grades 5 and 6 building. Mrs. Lang is a past President of PSCA. She has 2 children, 2 bunnies, and 2 cats and a devoted husband of 20 plus years.